Studied organ (with L.Werner), theory of music and composition (with B.Schaeffer) and electronic music (with J.Patkowski) at the Krakow Academy of Music, since 2000 the director of the Electro-acoustic Music Studio. Founder and co-founder of many groups and societies: Muzyka Centrum Art Society, Freight Train, Studio MCH, DoubleMark, CH&K&K, mc2 duo, Infinity Quartett, Kinetic Trio and dizzy kinetics. Choloniewski writes instrumental, electroacoustic, music for theater, film and radio, author of sound and video installations, audio-visual, outdoor and net projects. A world renown lecturer, composer, sound artist and live art performer. He has been giving concerts, workshops and lectures in Europe, North and South America as well as Asia. Author, founder, artistic director, coordinator and cooperator of many international projects: „audio art“ series (1987), Audio Art Festival (1993-), International Workshops for New Music Cracow/Stuttgart (1993-). 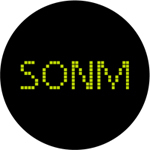 Internationale Akademie für Neue Komposition und Audio Art in Tirol (1993-), Silent Films with Music Live (1994-), Global Mix (1998-), Art Boat (2000-), GPS-Art (2000-), Ensemble Spiel (2003), Bridges and European Modern Orchestra (2003), Polish Society for Electroacoustic Music (2005-), Integra (2005-2011) Polish Sound Art in China, Chinese Sound Art in Poland (2006-2011), PAFME (2006-), European Course for Musical Composition and Technologies (2006-2008), Festival for Polish Culture in Luxembourg (2008-2010), dizzy kinetics concert tours in South America (2007-). He received Honorable Award of the Polish Composers Union, Award of the Ministry of Culture and National Heritage, as well as the Independent Project grant of the CEC ArtsLink in New York. Since 2008 he is the Secretary, and since 2011 the President of the International Confederation of Electroacoustic Music (ICEM/CIME).